Friday, July 14, 2017 by Isabelle Z. When the oil drilling rig, known as Deepwater Horizon, that was operating off the Gulf of Mexico around 40 miles from the Louisiana coast suddenly exploded and sank in April 2010, 11 people died and oil began to spill into the ocean a mile blow its surface. In just three months, the BP Deepwater Horizon fiasco saw 4.9 million barrels of oil spilling into the Gulf of Mexico. As the biggest oil spill in our nation’s history, it led to damages exceeding $17.2 billion. The environmental effects were staggering, with as many as 80 million young fish believed to be killed, along with around a third of the worms and snails living near the well. 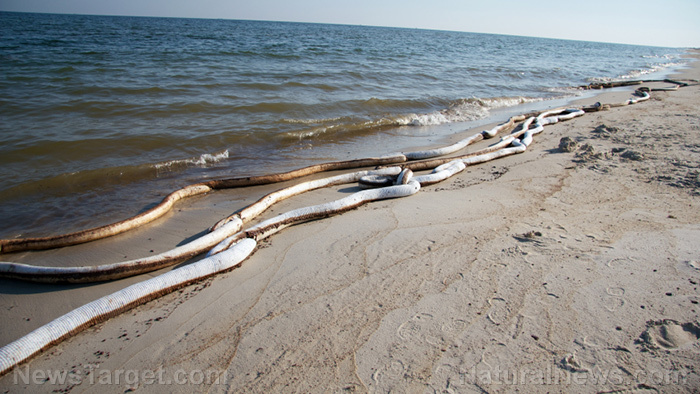 Moreover, the spill resulted in the deaths of around 50,000 birds, 120 bottlenose dolphins, and 8,000 young sea turtles. While some of these species can be replenished in a decade or two, it will take around 300 years for the 120 deepwater corals that died to recover. Despite widespread concern about whether it was even possible to clean up an oil spill of this magnitude, the oil somehow disappeared on its own. Scientists put forth a lot of theories, and new research has uncovered that oil-degrading bacteria deserve the credit for cleaning up the spill. It is believed that the dispersants used on the spill broke the oil down into tiny droplets, making them less buoyant and preventing them from floating to the surface. This kept the oil in a cloud underneath the surface, where it was easier for the microbes to reach. The Candidatus Bermanella macondoprimitus bacterium played a big role in this action. Could these findings help deal with future oil spills? The researchers are hopeful that their findings could help clean up future oil spills. The ability to identify the organisms that naturally degrade oil could be a game-changer if another oil spill occurs, but it’s not certain whether the microbes in question exist in other climates. For example, if the spill were to occur in Alaska, it would be a very different environment than the Gulf of Mexico, where a high concentration of underwater hydrocarbon seeps is believed to be behind the selection of the oil-degrading microbes. The bacterium cannot be taken from its native ecosystem, nor is it possible to culture it in a lab. On the other hand, a spill in a similar climate could well benefit from the knowledge gleaned in this study, which was published in the Proceedings of the National Academy of Sciences. This is a beautiful illustration of how Mother Nature essentially heals itself when given a chance. Our bodies also possess this ability, particularly when we provide them with the vitamins and minerals found in the food nature has provided us. Science is capable of great things, there is no doubt, but sometimes just letting nature work its magic is the best solution of all.